Huawei Y9 2019 is a capable mid-range smartphone with wider screen real estate. 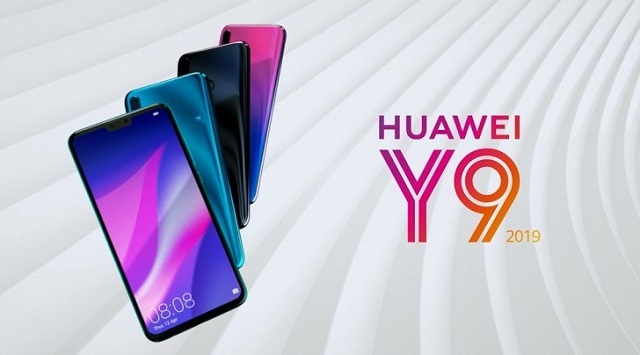 Huawei Y9 2019 has been made official by the company. The smartphone packs a big 6.5-inch display and four-camera system (two rear module and two front cameras). The display is defined by a Full HD+ FullView panel which would definitely give good details on texts and photos. Under the hood, there's the house-developed HiSilicon Kirn 710 SoC which features octa-core CPU and Mali G51 MP4 GPU. The Huawei Y9 2019 is also loaded with up to 6GB of RAM for faster app launching and multitasking chores. In terms of the optics, the Huawei Y9 2019 boasts a combination of 13MP and 2MP on the back, and 16MP + 2MP on the front. Both modules support AI scene recognition and 3D portrait lighting. The Huawei Y9 2019 run with an EMUI-skinned Android 8.1 Oreo - that's EMUI 8.2 to be specific. It comes with a back-mounted fingerprint sensor and AI Power 7.0 technology for its battery efficiency. Will the Huawei Y9 2019 hit the Philippines? There's a high probability that the handset will be offered here in the country. Until then, we'll have to wait and see.